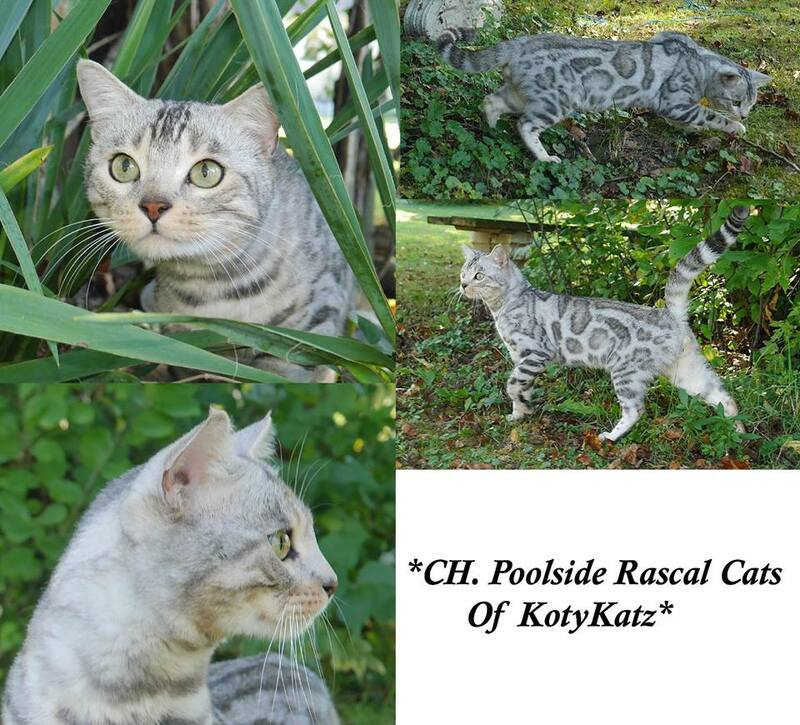 Champion Poolside Rascal Cats of KotyKatz has huge chaotic rosetting. He has a big thick tail and superb contrast. Rascal is extremely intelligent and has a very adorable loving personality. Rascal has contributed greatly towards our goal to become a specialized silver / silver lynx breeding program! He has contributed his genetics to other outstanding breeding programs as well. Many thanks to my good friend Lori Paddock of Poolside Bengals! If you’d like to see Rascal’s pedigree, please click here. 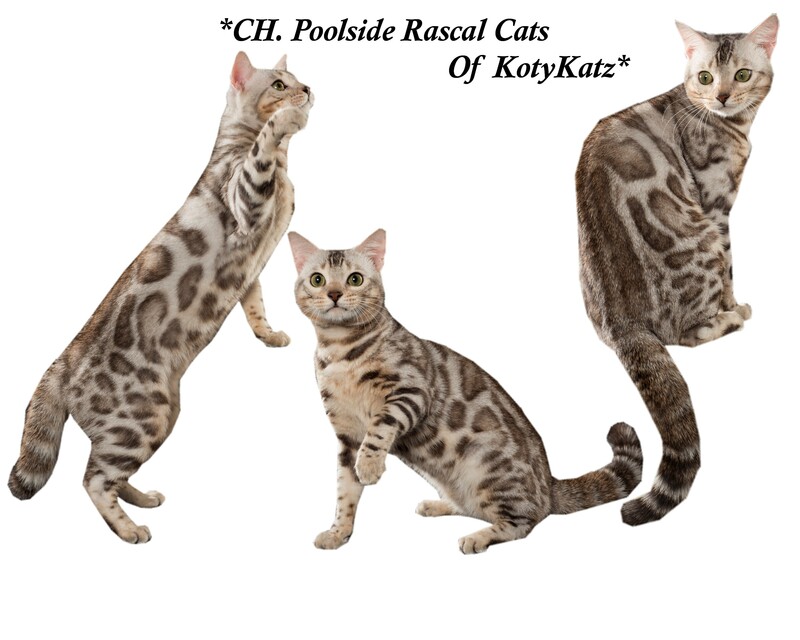 This entry was posted in Gallery, Reference Studs and tagged bengal stud, silver bengal, silver bengal cat, silver seal lynx bengals. Bookmark the permalink.